Once you’ve decided what sort of flock and for what purpose, you can begin collecting eggs to hatch yourself or chicks that you can raise into happy, healthy chickens. There are a number of ways to get eggs or chicks, but some are more common than others. Hatcheries are one of the more commonplaces to buy chickens. If you have one near you, you can generally travel to them and pick up the chicks, but most are now online or mail-order. A good number of them offer “specials” or “packages” in which certain groups or types of chicks are offered. They are an excellent source for chicks or eggs, but they will not generally sell older chickens and many vaccinate for diseases before shipping to you. On the down side, many also have a minimum order size which may be too big for the average hobby chicken farmer or small flock owner. If this is the case, consider splitting both the cost and the purchase with a neighbor or two. It is also best to use a hatchery as close to you as possible, most definitely in the same state if ordering live chicks. The longer the chicks are in transit, the greater the likelihood that some will die before they arrive and others will die as they try to recover. For those that are not interested in purchasing from a large hatchery, and would instead prefer to purchase from smaller farmers, consider auctions sites such as Ebay, Ovabid, FeatherAuction, or Bidbird.com. Be sure that whoever you order from has an excellent selling history. You don’t want to risk buying a dozen bad eggs that will never hatch, or getting eggs from chickens that are diseased. Go with those that offer guarantees and have excellent feedback. The occasional complaint may be fine, but read through and be certain of your purchase before you finalize it. Local Feed and Livestock stores tend to be the preference of choice for my family. The chicks are often hatched locally and brought to the store by employees or neighbors. They tend to have smaller minimum purchase requirements, and you can see the chicks and pick them out yourself. 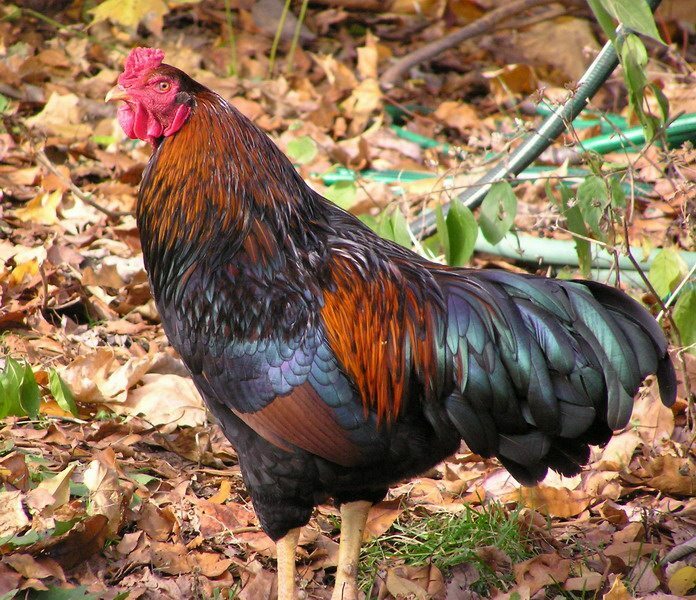 In addition, they can be sexed right in front of you if you are concerned about gender, and you have a built in customer service department as they often know the chickens and breeders personally. It is great fun to take your kids in and have them pick out the chickens that they will be bringing home and raising. There aren’t any young children in my family, but all of us love to go in and pick out the newest additions to our every growing farmyard. The major downside to purchasing from a feed store is that, unlike purchasing from a hatchery, you are often limited to what they have available. For us, this means a lot of Rhode Island/ Aracauna mixes, many many Buff Orpingtons, and Barred Rocks. It was certainly a surprise this year to find a couple Black Marans, they have been an adorable addition to our yard. Farmers in the business that are liquidating and quitting, or those who accidently ended up with a rooster will often put ads in the local paper. You will probably get chicks a little older than you would like, and even less commonly eggs for hatching yourself, but if you take chickens from classified ads, you will be providing a good home for them. Craigslist is growing in popularity all around the globe and is similar to a giant garage sale for everyone in your area. 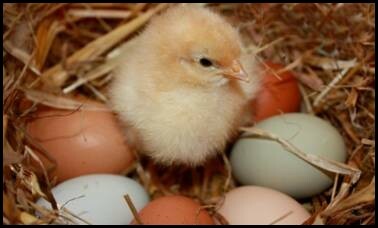 It’s very simple to find fresh, unfertilized eggs, chicks, hens, roosters, pullets- everything you could want. All you do is head to the Farm and Garden area of the For Sale section and hunt around till you find what you’re looking for! 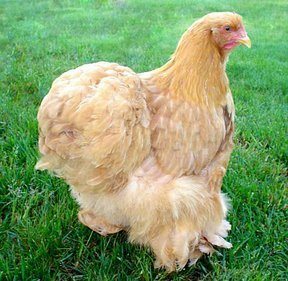 Molting: That’s One Ugly Chicken!